There was 6 in stock on 22 April 2019 at 08:29. Derived from MX/SX racing technologies, the M403 covers a wide range of soils as well as ultimate performance on medium-hard terrain. The front M403 provides advanced controllability and contact feel when turning into the clipping point. With the improved performance, the M403 eases you to turn the bike into the corner, and utilizes the machine power to its maximum on acceleration and provides more grip and contact feel at your full lean. By using new lug patterns, rubber compounds and tire constructions, the front tire provides improved cornering control. Improved contact feel and gap absorption, better grip/traction/controllability and gives a wider range application to the harder side. 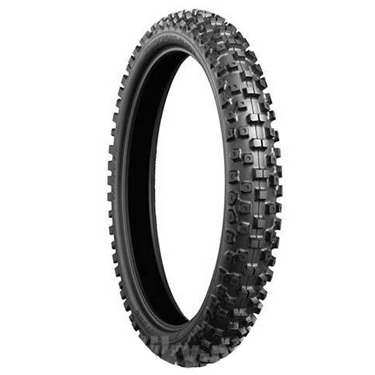 Designed for use with the M404 rear tire.